Pirate Latitudes was discovered on Michael Crichton’s computer by his assistant after he died, and Burnham speculated that it was written at the same time Crichton wrote his most recent novel, Next, which was published in 2006. Before we left Jamaica, I wanted to go to Spanish Town in the south, where I had learned there was a new museum of early Jamaican artifacts. For many years I had been working on a book about seventeenth-century Jamaica, and now I wanted to visit this museum. Now I think we can safely assume that the book was probably a novel, as nearly all Crichton’s books have been novels. And from what I know of the history of Jamaica and the Caribbean, it is unlikely that the book would not involve pirates given their significance and centrality to Jamaica in the 1600s. The Pit was the native term for a vast swampy marsh in southwestern Jamaica….There were stories of pirate treasure buried here; Morgan supposedly cached gold in the swamp, carrying it by long boat up from Port Royal, the ancient site of modern Kingston. There were stories of millions of dollars in bullion hidden in these swamps. There were also stories of ghosts, men lost and doomed to wander here forever. Morgan is a reference to privateer and pirate Henry Morgan, who eventually became governor of Jamaica. From the information available so far on Pirate Latitudes, the character of Captain Charles Hunter may have been inspired by Henry Morgan (a question I’ll ponder and explore after I read the novel). 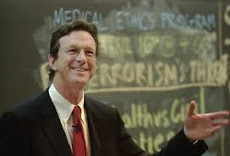 With Michael Crichton, as with many writers, a time lag of several years between the inspiration for a book and its completion was not unusual. How long, on average, does it take to write one of your books, from initial idea to publication? There is no way to say, it varies so much. THE GREAT TRAIN ROBBERY was 3 years. SPHERE was 20 years. JURASSIC was 8 years. DISCLOSURE was 5 years. Usually, an idea "cooks" in my head for a very long time before I write it. 21 days until the US release of Pirate Latitudes.